We have recently received new compilations of works from two French greats: Hector Berlioz and Claude Debussy. To accompany these, we found a selection of digitally remastered recordings of the great Maria Callas. We hope you enjoy them! 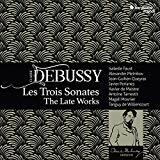 Les Trois Sonates: The Late Works, Debussy. Various performers. 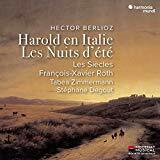 Harold en Italie, Les Nuits d’été, Hector Berlioz. Performed by Les Siècles and François-Xavier Roth. The New Sound of Maria Callas. New Classical CDs just in the door! This week’s new classical CDs include these three albums featuring vocals: A Sea Symphony, which features text from Walt Whitman’s ‘Leaves of Grass’, sung by Sarah Fox and Mark Stone; Howard Goodall’s treatment of the Passion; and a second compilation of Vivaldi arias by Cecilia Bartoli. 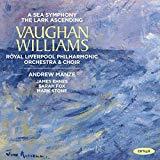 A Sea Symphony & The Lark Ascending, Vaughan Williams. Performed by the Royal Liverpool Philharmonic Orchestra & Choir. 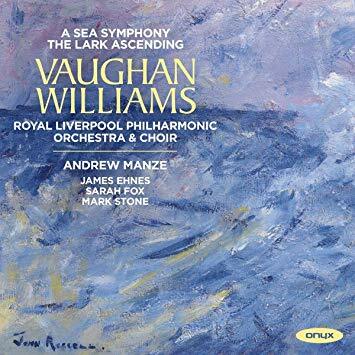 “Vaughan Williams’s first symphony A Sea Symphony displays an epic self-confidence in handling large orchestral forces and setting words to music. Walt Whitman’s words had been set by Holst and Harty and inspired orchestral works by Delius. The American poet provided a rich vein of inspiration to Vaughan Williams. The romance The Lark Ascending, originally for violin and piano, was orchestrated in 1920 and has become one of the composer’s best-loved works” (cover). 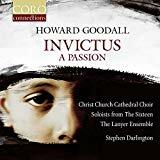 Invictus: A Passion, Howard Goodall. Performed by Christ Church Cathedral Choir and others. “Christ Church Cathedral Choir and Stephen Darlington join forces with Soloists from The Sixteen and a stellar group of instrumentalists on this premiere recording. Persecution of the innocent, malevolent authority exerting itself against ideas that threaten and challenge, the power of a peaceful, loving humility in the face of tyranny, the facing-down of fear; all hold profound universal resonance for people of many faiths and those of none. Such is the power of the Passion story and in his new work, Invictus: A Passion, multi-award-winning composer Howard Goodall has found a route directly to people’s hearts, telling the story afresh through his choice of thought-provoking texts combined with heart-rending yet inspiring music” (amazon.com). Antonio Vivaldi. Performed by Cecilia Bartoli. 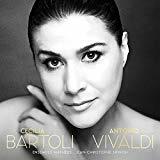 “In 1999, Cecilia Bartoli released her landmark Vivaldi Album and introduced Antonio Vivaldi’s forgotten opera works to the world. Now, almost two decades later, she returns to Vivaldi with a brand new album of arias from the baroque master’s finest operas” (cover). Period instruments are the flavour of the month for January’s new classical CD additions; enjoy colours that Bach, Mozart and Debussy would have heard. Sonatas & Partitas BWV 1001-1006, J. S. Bach. Performed by Giuliano Carmignola. 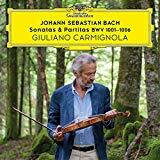 “With his interpretation of Bach’s Sonatas and Partitas for Violin Solo, Giuliano Carmignola, dubbed ‘a prince among Baroque violinists’ (Gramophone), adds the first period-instrument recording of these works to DG’s rich catalogue” (cover). Sonatas for Fortepiano & Violin, Mozart. Performed by Isabelle Faust and Alexander Melnikov. 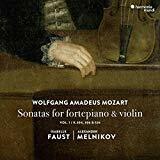 “In this first volume of Mozart’s duos, Isabelle Faust and Alexander Melnikov revive on period instruments the tradition of the ‘sonata for keyboard with violin accompaniment’. Born in the middle of the Age of Enlightenment, this rather unusual concept continued to thrive in the era of Viennese Classicism, even if, long before Beethoven, Mozart swiftly sealed its fate by instigating (or, in a sense, restoring) an increasingly lively conversation between the two instruments” (cover). 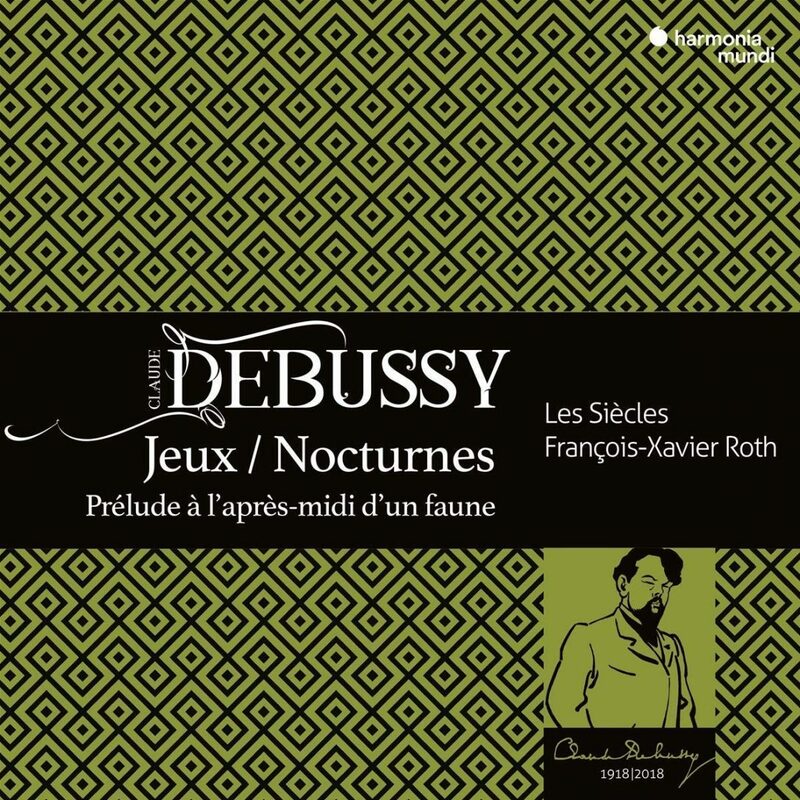 Jeux/Nocturnes, Debussy. Performed by Les Siècles and François-Xavier Roth. “With the musicians of Les Siècles, we have the opportunity to discover on period instruments the original colours of [some of Debussy’s key works] as Jeux and the Nocturnes. After his sumptuous recording of Ravel’s Daphnis et Chloe, François-Xavier Roth adds a new and splendid achievement to his discography” (cover). Anima Sacra. Performed by Jakub Józef Orliński. Piano Magic. 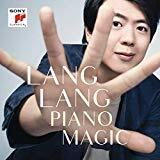 Peformed by Lang Lang. Sonatas Opus 109, 110, 111, Beethoven. 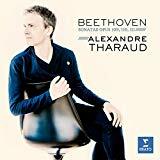 Performed by Alexandre Tharaud. This week in new classical music we feature recordings from each end of the romantic period, and one more in the middle-ish. Happy listening! Destination Rachmaninov – Departure, Rachmaninov. 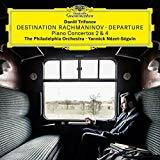 Performed by Daniil Trifonov and the Philadelphia Orchestra. The Complete String Quartets 5, Beethoven. Performed by the Elias String Quartet. Symphony No. 6, Mahler. 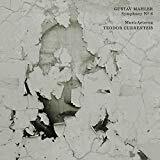 Performed by MusicAeterna, Teodor Currentzis, conductor. Our recent classical music CD additions include an interesting selection of vocal albums, including the conclusion of a long, epic survey of Bach cantatas (secular and sacred). 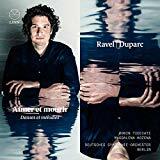 Aimer et Mourir: Danses et Mélodies, Ravel/Duparc. Performed by the Deutsches Symphonie-Orchester Berlin with Magadlena Kožená. “This second all-French programme [by Robin Ticciati and the Deutsches Symphonie-Orchester Berlin] sees Magdalena Kožená return to perform a selection of songs by Henri Duparc alongside orchestral music by his fellow countryman Maurice Ravel. The popular Suite No. 2 from Ravel’s epoch-making ballet Daphnis et Chloe showcases Ticciati’s flair for highlighting intricacies of detail and colour. In Ravel’s Valses nobles et sentimentales, Ticciati creates a well-paced, yet graceful, Impressionist swirl with clearly defined textures and shimmering orchestral colors. Duparc’s melodies sound particularly opulent in their orchestral scoring; the warm tones of Kožená’s ravishing voice provide a perfect match” (amazon.com). Bach. 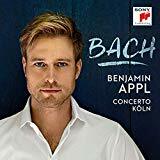 Performed by Benjamin Appl and Concerto Köln. Gramophone magazine’s “Young Artist of the Year” for 2016 returns with a new compilation of excerpts of cantatas and Passion settings. 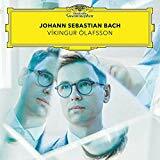 “[This] new album presents wonderful music by Johann Sebastian Bach from famous as well as less known cantatas but also from the St. Matthew Passion. It was recorded with the renowned Ensemble Concerto Köln, one of the leading ensembles for historically-informed performance practice” (amazon.com). Secular Cantatas Vol. 10 ‘Cantatas of Contentment’, J. S. Bach. Performed by Bach Collegium Japan, conducted by Masaaki Suzuki. The final volume in the secular cantata series. “When we finished the Bach Sacred Cantatas there was an emptiness with us all participants, which was – partly – alleviated by the fact that there were several records of secular Cantatas still to be recorded. And now we are at the bitter end of those as well, and there are no more Bach Cantatas to be recorded. After 23 years of a steady diet of Bach Cantatas, to be without them is brutal and cruel. All the better, then, that we have finished on a high point. Carolyn Sampson’s singing in the solo cantata BWV 204 beggars belief – it is as close to Heaven one can hope to come on this Earth. Big words, and yet too small for what she does. This is the crowning glory of a series that has transformed my life and given me so much more fulfillment that I could possibly have hoped for. Thank you, Masaaki and your faithful BCJ, for creating a musical treasure possible to be treasured by a grateful mankind” (Robert von Bahr, at amazon.com). Johann Sebastian Bach. Performed by Víkingur Ólafsson. “Thirty-five tracks and just one name – Johann Sebastian Bach. This exceptional album may be devoted to a single composer, but it contains an astonishing range and variety of music. ‘There isn’t just one Bach,’ explains Víkingur Ólafsson… All of these many facets [of Bach] can be heard in Ólafsson’s performances here…” (CD insert). Nightfall. 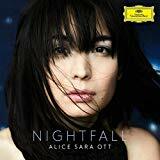 Performed by Alice Sara Ott. 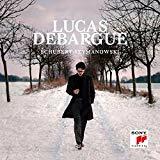 A compilation of piano pieces by Debussy, Satie and Ravel, the trio of early 20th century French composers. “Nightfall is that magical hour when day and night face each other and the sky descends into twilight. For a brief moment, light and darkness are in harmony and merge together…” (Alice Sara Ott, cover). Symphony No. 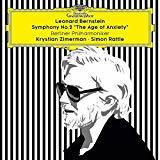 2, ‘The Age of Anxiety’, Leonard Bernstein. Performed by the Berliner Philharmoniker. “…when Leonard Bernstein celebrated his 70th birthday, he invited Krystian Zimerman to perform his Symphony No. 2 with him for the first time. After a fabulous concert Bernstein asked the pianist, ‘Will you play this piece with me when I’m 100?’ So here we are, more than 30 years later – Bernstein live from Berlin!” (cover). This week we’ve received a shipment of great new CDs, including some interesting composer-pairings curated by a couple of acclaimed instrumental soloists. 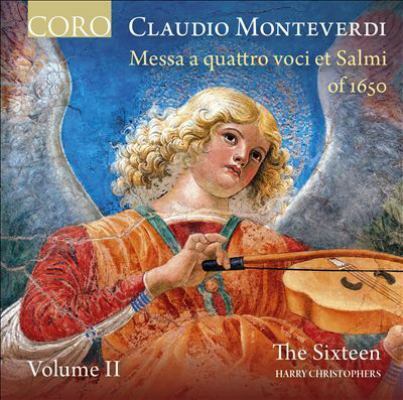 Messa a Quattro Voci et Salmi of 1650, Volume I and Volume II, Monteverdi (et. al.). Performed by The Sixteen. “Monteverdi’s sacred vocal compositions introduced the expression of powerful and personal emotions to the world of church music. Whilst it took him a number of years to find fulfilment in his work, Monteverdi was a revered composer within his lifetime and his music is regarded as revolutionary, marking the change from the Renaissance style to that of the Baroque. [These discs comprise of] some of the finest works from Monteverdi’s years as director of music at St Mark’s in Venice, published posthumously…” (cover). 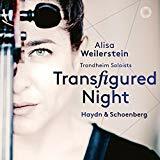 Transfigured Night, Haydn & Schoenberg. Performed by Alisa Weilerstein. “Transfigured Night brings together two outstanding composers associated with Vienna: Joseph Haydn and Arnold Schoenberg. The former is often seen as the oldest representative of the First Viennese School, whereas the latter founded the Second Viennese School, using the classicism of his predecessors to explore new, atonal musical paths into the twentieth century. 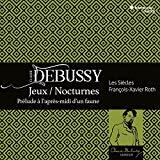 By combining Haydn’s two cello concertos (in C-major and D-major) and Schoenberg’s symphonic poem Verklärte Nacht in the 1943 edition for string orchestra this album sheds a new, fascinating light on both Viennese masters. The connection between the stylistically contrasting pieces on this album is further enhanced by the inspired playing of American cellist Alisa Weilerstein and the Trondheim Soloists. For Weilerstein, this album is not only a fascinating exploration of the rich Viennese musical heritage, but just as much a confrontation with the dark history of a city her grandparents had to flee in 1938.” (amazon.com). Schubert, Szymanowski. Performed by Lucas Debargue. This week we bring together some 21st century works and a couple of Baroque masters. Circles: Piano Concertos, Bach, Glass. Performed by Simone Dinnerstein and A Far Cry. A Far Cry is a Boston-based string orchestra that performs without a conductor; no mean feat! Together with pianist Simone Dinnerstein they perform two pieces composed 280 years apart, the Glass concerto, composed in 2017 for Dinnerstein, featuring here in its world premiere recording. The Bach concerto (BWV 1058) is a transcription (by the composer) of the violin concerto in A minor (BWV 1041). The Händel Album. Performed by Artaserse and Philippe Jaroussky. “This album, which focuses on arias from Handel’s more rarely-performed operas, is the first that Philippe Jaroussky has devoted entirely to the composer … Jaroussky brings his impeccable Handelian credentials to an entire album devoted to arias by the composer, who produced thirty-five operas for the London stage between 1711 and 1741… Jaroussky’s new album puts the emphasis on operas we are less likely to hear in the theatre or concert hall: Amadigi di Gaula; Arianna in Creta; Flavio, re di Longobardi; Giustino; Imeneo; Radamisto (represented by no fewer than four arias); Riccardo primo, re d’Inghilterra; Siroe, re di Persia and Tolomeo, re di Egitto” (Catalogue). Doctor Atomic, John Adams. Performed by Gerald Finley and other soloists with the BBC Singers, BBC Symphony Orchestra, conducted by John Adams. 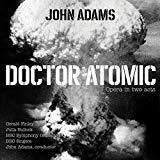 “In this first recording of John Adams’s 2005 opera, Doctor Atomic, the composer leads the BBC Singers and the BBC Symphony Orchestra, with a cast led by Gerald Finley, who originated the role of J. Robert Oppenheimer. Longtime Adams collaborator Peter Sellars created the libretto, drawing from original sources to explore the final hours leading up to the first atomic bomb explosion at the Alamagordo test site in New Mexico in July 1945. ‘A magnificent accomplishment that easily takes its place alongside the other Adams-Sellars triumphs,’ exclaims the Los Angeles Times. ‘It contains music of unearthly splendor. '” (amazon.com). 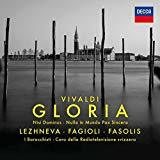 Today’s selection of new classical music CDs features a couple of compilations of religious choral music book-ending three centuries, from Vivaldi and Vaughan Williams. 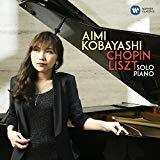 We have also added our first recording from Aimi Kobayashi, a successful young pianist and Chopin-expert. Gloria, Vivaldi. Performed by Julia Lezhneva, Franco Fagioli with Coro Della Radiotelevisione Svizzera. Solo Piano, Chopin, Liszt. Performed by Aimi Kobayashi. Mass in G Minor, Vaughan Williams. Performed by The Choir of St John’s, Cambridge. Marking the centenary of the 1918 Armistice is this recording of Vaughan Williams choral works performed by The Choir of St John’s with Andrew Nethsingha at the helm. Many of these works were composed shortly after the end of the First World War, perhaps in response to the composer’s experience.